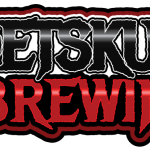 PetSkull Brewing Manitowoc WI Brewery and Tap Room » First Day of our New Summer Hours TODAY! First Day of our New Summer Hours TODAY! Keep in mind, we will be open on Sunday, June 10th from 12 – 6, with live entertainment from Jamus Unplugged – Jason Solis from 1 – 4. Also, we are proud to announce that we are the craft beer provider for the all new Night Market 920! Great Wednesday events in Manitowoc all summer long! Check out their FB page for more info! See you in the taproom! CHEERS!